If you find you are carrying any of the following you must declare them, according to Chinese Law. They will probably be confiscated and an investigation held. Consequences are worse if found in possession once you have passed through customs. If you have anything to declare (see the list below), you must fill out a baggage declaration form (in duplicate) and hand it in to customs, retaining the carbon copy to show upon exit. Personal possessions, gifts for relatives or friends in China, or articles carried on behalf of another, must be declared if duty is required to be paid, or if they fall under one of the categories below. Those resident in China may bring in duty-free articles for personal use worth up to a total of RMB 5,000. Customs shall levy duty (20%) on the portion of the article(s) whose value exceeds the duty-free limit. 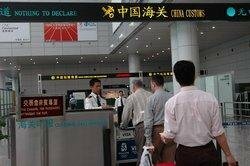 Non-resident visitors may bring in duty-free items, which will remain in China, with a total worth of RMB 2,000. Those exceeding the duty-free limit shall be released subject to payment of Customs duty. Passengers may bring duty-free into the country 1,500 ml. of alcoholic drinks (with alcohol content of 12% or above) and 400 individual cigarettes, or 100 individual cigars, or 500 grams of smoking tobacco. Those items designated for personal use, which exceed the duty-free limit, shall be released subject to payment of Customs duty. Passengers carrying over RMB 20,000 in cash or foreign currencies with a conversion rate exceeding US $5,000 shall be processed by Customs in accordance with the current regulations. Passengers carrying foreign currencies exceeding US $5,000, which will be taken out of the country at the end of their stay, shall complete a Customs Declaration Form in duplicate. One copy of this form, endorsed by Customs, shall be returned to the passenger for relevant procedures at the time of their exit. Passengers carrying animals, plants and/or products made of or from them, microorganisms, biological products, human tissue, blood and blood products, shall be processed by Customs in accordance with the current regulations. Passengers carrying radio transmitters and/or receivers or communication security devices shall be processed by Customs in accordance with the current regulations. Passengers carrying articles which are restricted or prohibited from entry into the country according to the laws of the People’s Republic of China shall be processed by Customs in accordance with the current regulations. Passengers carrying goods, samples or articles for advertisement shall be processed by Customs in accordance with the current regulations. Passengers who declare unaccompanied luggage, which is to be transported separately, shall be processed by Customs in accordance with the current regulations. Personal belongings will be admitted duty free, including food, two bottles of liquor and two cartons of cigarettes. Wristwatches, radios, tape recorders, cameras, movie cameras, and similar items may be brought in for personal use, but cannot be sold or transferred to others and must be used up or brought out of China. Visitors can bring in up to 20,000 yuan in foreign currency and/or Chinese yuan (RMB) and/or traveler’s checks, and the unspent portion can be taken out. On leaving China, you must submit any baggage declaration forms with declarable items for customs inspection (the second copy). Those traveling by ship are exempted. High value items may need to be declared. 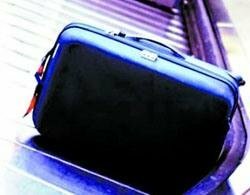 Passengers carrying items for personal use, such as cameras, camcorders and laptops valued in excess of RMB 5,000 each, and which will be brought back from overseas, should complete Declaration Forms in duplicate. One copy of this form, endorsed by Customs, will be returned to the passenger for relevant Customs procedures at the time of their re-entry. Passengers carrying over RMB 20,000 in cash or foreign currencies with a conversion rate in excess of US $5,000 shall be processed by Customs in accordance with the current regulations. Passengers carrying precious metals such as gold and silver etc. shall be processed by Customs in accordance with the current regulations. Passengers carrying antiques, endangered animals, plants and/or products made of or from them or any biological species, shall be processed by Customs in accordance with the current regulations. Passengers carrying other articles, which are restricted or prohibited to be removed from the country according to the laws of the People’s Republic of China, shall be processed by Customs in accordance with the current regulations. Passengers who carry goods, samples or articles for advertisement shall be processed by Customs in accordance with the current regulations. TVs, video cameras, VCRs, video players, sound equipment, air-conditioners, refrigerators, washing machines, cameras, duplicators, program-controlled telephone exchanges, microcomputers and peripherals, telephones, radio paging systems, facsimile printers, electronic calculators, type-writers and word processors, furniture, illuminating apparatus, and food materials. Our Shopping in China guide includes a section on what not to buy in China for customs and other reasons. Whether you can consign or carry drugs, food, and health care products depends on whether they comply with the ingredients and type restrictions and quantity-related restrictions. It is prohibited to consign or carry abroad items listed by Table of Articles Prohibited to Enter or Leave the People&apos;s Republic of China, for example, toxicants, narcotic drugs, endangered and precious animals, plants and its seeds or progenitive materials. Narcotic drugs include addictive psychotropic drugs listed by the government. Chinese herbal medicines and Chinese patent drugs whose export is prohibited by the government include musk, dried toad venom, tiger bone, rhinoceros horn, and calculus bovis. Chinese patent drugs which contain trace amounts of musk or dried toad venom, for example musk paste or six spirits pills (liushenwan) are not included. Drugs containing trace amount of rhinoceros horn, tiger bone are included. Other Chinese herbal medicines and Chinese patent drugs are permitted abroad in specified amounts. The quantity consigned or carried must be within a reasonable amount for personal use. According to Administrative Regulations of the People’s Republic of China Concerning Consignment and Carrying of Chinese Herbal Medicines and Chinese Patent Drugs Abroad, the total quantity of Chinese herbal medicines and Chinese patent drugs should be limited to under 150 RMB for Hong Kong and Macau, and limited to under 300 RMB for abroad. As regards consignment, the total quantity of Chinese herbal medicines and Chinese patent drugs should be limited to under 100 RMB for Hong Kong and Macau, and limited to under 200 RMB for abroad. Quantity of consignment should be within a reasonable amount for personal use and should not exceed the limited quantity. The amount should be within 1,000 RMB. The tax rate on dried abalone is 10% at 5,000 RMB per kilogram. The tax rate on fresh abalone is 10% at 1, 000 RMB per kilogram. The tax rate on dried sea cucumber is 10% at 1, 500 RMB per kilogram. The tax rate on cubilose is 10%, but the price of cubilose ranges from 5, 000 RMB per kilogram to 15, 000 RMB per kilogram. Gifts of these products received from friends or family members can be listed as personal effects. But relative formalities are required. Or else it will be declared as cargo. The quantity of medicine foreign short-stay tourists are permitted to carry should be within a “reasonable amount for personal use”. The quantity should be within a 7-day ration. Any exceeding the 7-day amount should be declared as cargo. Tourists must provide written documentation from a medical institution to prove the necessity of the medicine. Customs will verify the amount of medicine the tourists needs according to the original prescription. A copy of the prescription will be kept as documentary evidence of the inspection of the tourist. A prescription can only be used for one customs inspection. Under the principle of personal use and reasonable amount, travelers should refer to the portal website of China Customs — Guidelines — Information Related to Travelers’ Belongings. Used laptop computers, etc. ratified by customs are free of duty. Staff of oversea diplomatic agencies, overseas students, visiting scholars, overseas contracted workers, foreign aid personnel who have stayed abroad for 180 days, and seafarers who have stayed abroad for 120 days are permitted to bring one item duty-free. Other travelers are allowed to bring one item duty-free each year. 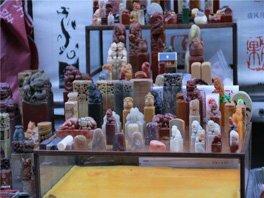 Items carried by tourists which are not listed in the Table of Classification (valued higher than 5,000 RMB) will not be regarded as personal belongings. 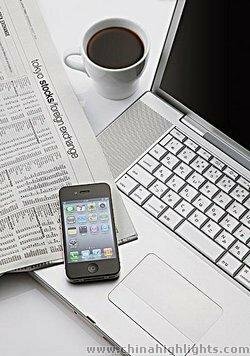 These items can be cleared after paying a tax (20% on the excess). The result of an inspection by customs shall be final. If you bring a high-value item abroad, and pay duty, you need to fill in two declaration forms, one of which is kept to prove the laptop computer should be duty free when you come back. Consigning Paintings, Pearls, Jewelry, etc. Under the principle of personal use and reasonable number, the value of personal postal articles should be under 1,000 RMB. Exception will be made for singular articles or indivisible articles which have been confirmed to be for personal uses and undergone required formalities. Senders who consign items for transport abroad must fill in a customs declaration form with the name of articles, quantity, and value and file the declaration to the accredited postal office. After clearance by customs, the article will be sent. Gifts of these products received from friends or family members can be listed as personal effects, but relative formalities are required, or else they will be declared as cargo. According to Notice on the Implementation of Regulations Concerning Entry of Pet Dogs and Pet Cats by the Ministry of Agriculture and General Administration of Customs, one traveler can bring only one pet dog or cat cross the border. 1. After receiving the declaration of a pet dog or pet cat filed by a traveler, customs should inspect the certificate of quarantine and certificate of rabies vaccination issued by an official of the exporting country (or region). 2a. Customs should inform the port Animal and Plant Quarantine Office to quarantine the pet dog or pet cat. The port Animal and Plant Quarantine Office should provide certification of quarantine to the traveler. 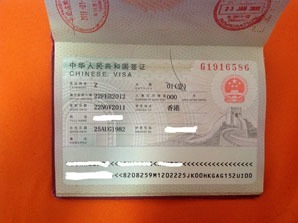 The validity of the certificate lasts for 30 days. 2b. If a traveler can not provide sufficient certification or exceeds the limited number, customs should inform the port Animal and Plant Quarantine Office to take temporary custody of the pets. 3. Tourists should handle the procedure of withdrawing the pets within the stipulated time. Pets will be considered unclaimed if tourists do not proceed with the formalities or do not declare the waiver of the pets. Under such circumstance, pets will be processed with quarantine treatment by port Animal and Plant Quarantine Office.